Even though bees can be annoying at times, they’re crucial to the environment and our own survival as a species. Unfortunately, we seem to be killing them off. Thanks to pesticides, climate change, and parasites, bee populations have been declining at a rapid rate. 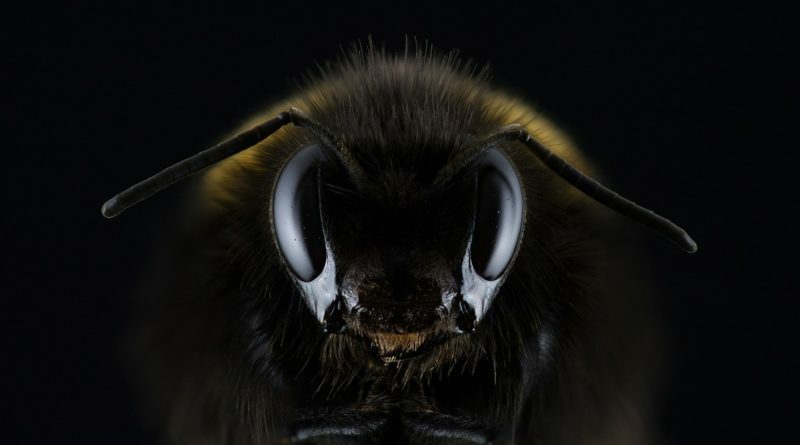 Bees pollinate a large percentage of the world’s crops from apples to coffee to cotton. Without bees, many of these essential crops could die off. Bees contribute an estimated 15-30 billion dollars in annual agricultural productivity alone. Losing bees would have catastrophic effects on pretty much every single person on the planet. Hopefully, we can turn things around before bees become extinct. Just in case, scientists at the Delft University of Technology in the Netherlands have been experimenting with another solution. Robot Bees. The real name is Delfly and it’s an insect-like drone that scientists hope can help pollinate plants in case the real bees disappear. Scientists used fruit flies as an inspiration, analyzing their wing motion and aerodynamics. The Delfy stays airborne with a wing beat of 17 times per second and can reach speeds of 15 mph. Like fruit flies, they can hover, fly in any direction, and flip 360 degrees at any angle. 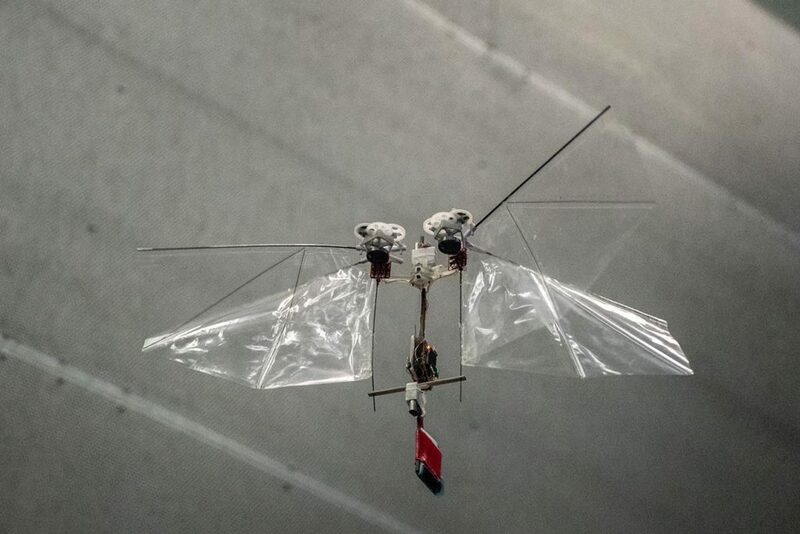 For Delfly’s wings, the scientists used a lightweight mylar film which is the same material used in space blankets. 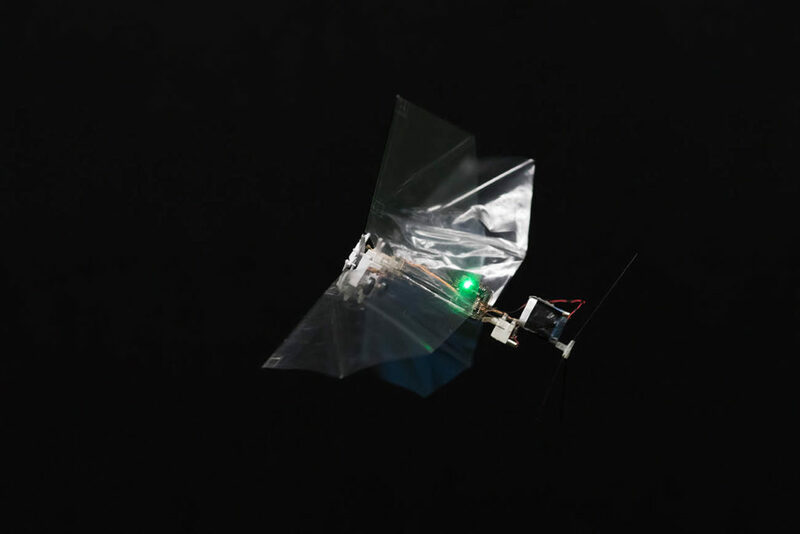 Small sensors allow the ‘robot bees’ to autonomously fly from plant to plant and avoid any obstacles that may get in their way. The tiny robot can also be controlled via remote control. Currently, the Delfly weighs about 29 grams and has a wingspan of 33cm making it 55 times the size of the average fruit fly. The goal is to ultimately get the drones as close to the size of a fruit fly as possible. Scientists are also working to improve battery life as currently the robot can only fly for six minutes and travel about a half mile. The scientists feel the tiny pollinating drones could be useful in greenhouses where giant swarms of the robot bees would help keep plants pollinated in the absence of the real ones. The Delfly could also have other uses such as scanning for survivors in areas hit by natural disasters and monitoring warehouses. For any of these intended uses, we would assume battery life would have to be greatly improved. “The goal is to have a device that could pollinate flowers as it may be that bees will die out…if you can imagine a swarm of these robots flying around a warehouse or greenhouse, they would very safe to work around as they are so small and light,” said Matěj Karásek, a researcher at Delft University’s Micro Air Vehicle laboratory. The project is obviously in the very early stages but shows promise. In reality, it would be almost impossible to replace bees on a global scale if they do disappear but these mini-robots could be viable in contained environments like greenhouses and small farms. Getting autonomous tech into drones the size of a tiny insect would be quite an achievement on its own and could have uses in many other industries. Check out our article on robots cleaning Walmart’s floors and ones that fight fires.